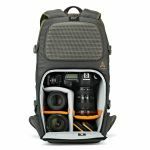 Outdoor camera backpack for photographers who carry a balance of photo and personal gear for a day in nature. ... and so is Flipside Trek. 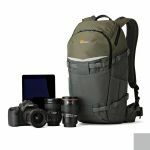 Strike the perfect balance between carrying camera equipment and the outdoor gear you need for a day's adventure in the wild. 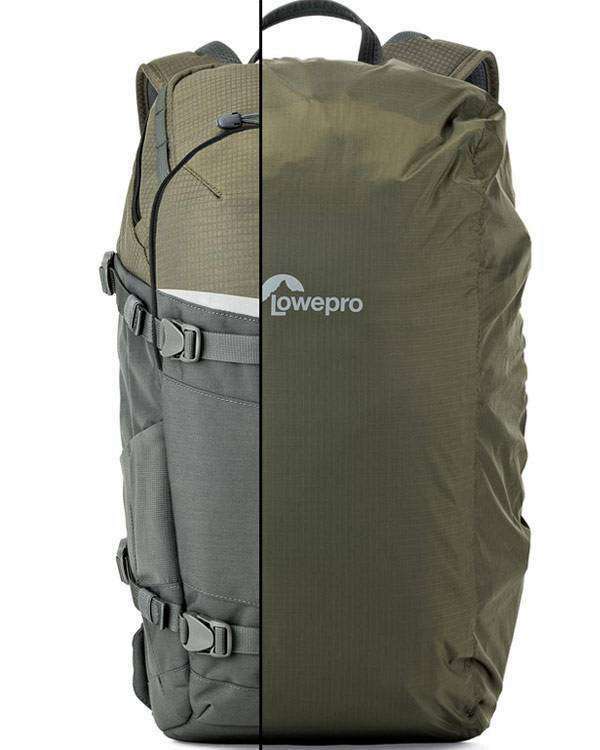 Never compromise your experience for lack of space. 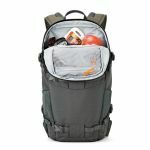 The split camera and open space compartments allow you to pack what you want, how you want. 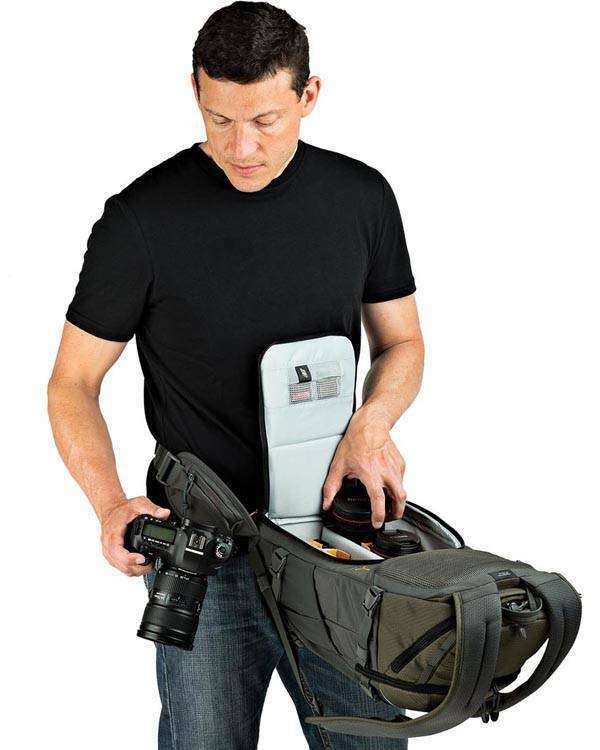 Lowepro pioneered secure body-side access with the original Flipside. 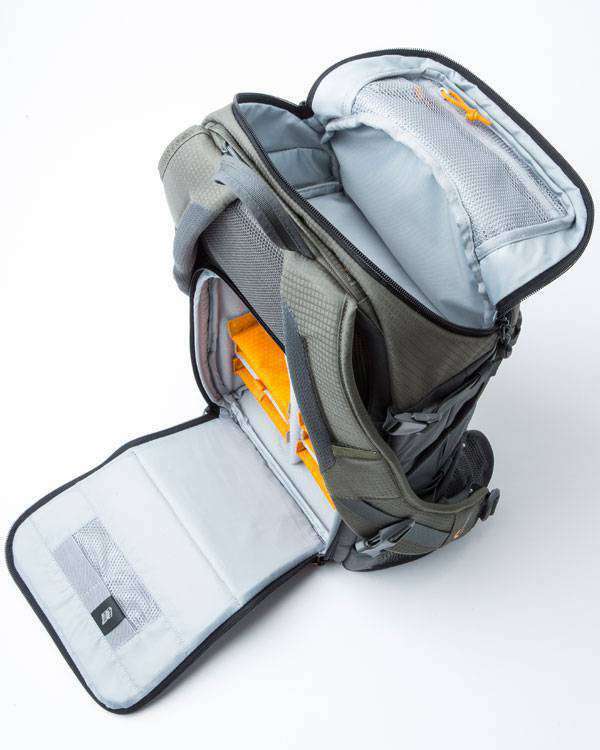 The new hinged panel in the Flipside Trek allows even easier access to your gear without taking off the pack. 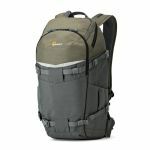 The ActiveZone™ suspension system and straps make carrying effortless. 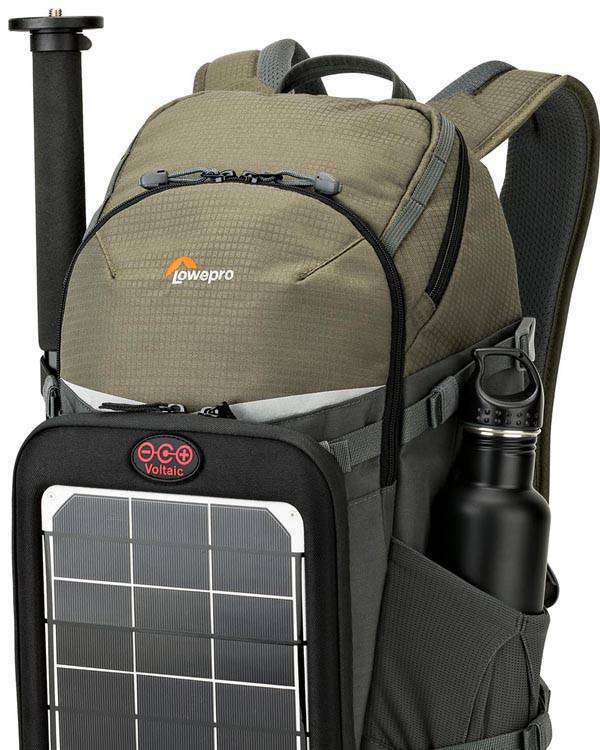 Vented back panel will help keep you cool. 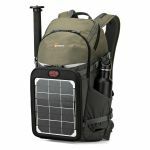 Carry a tripod, trekking poles, solar panel, water bottles, it's up to you. 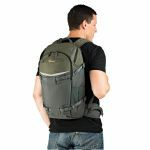 Flipside Trek provides all the mounting points you need to get the right gear to the right place at the right time. Durable, water repellent materials plus our All Weather AW Cover™ provide exceptional protection from water, snow, sand, and dust. 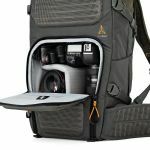 Get the perfect balance of dedicated space for camera gear and open space for your personal items. 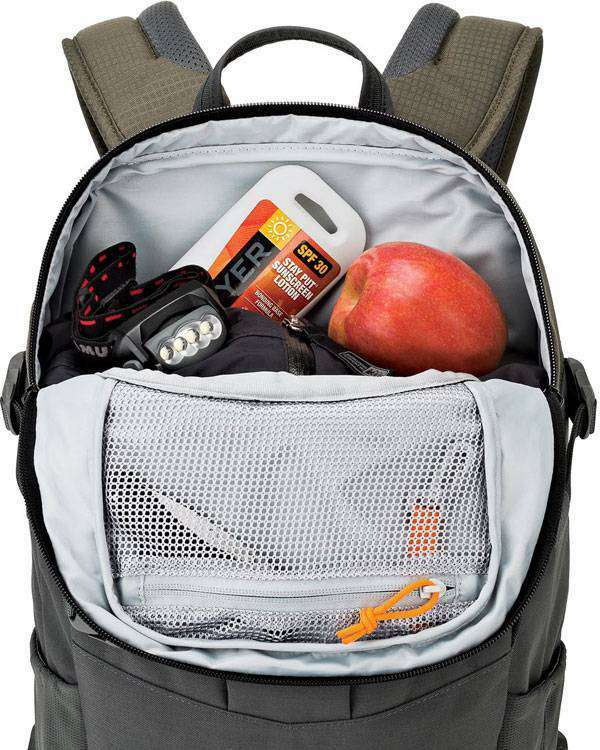 Get your gear without taking off your bag. 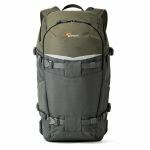 When you do work out of the bag, Flipside keeps the body-side of the bag off the dirt and clean. 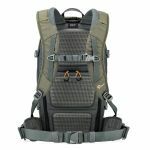 With numerous webbing loops, compression straps and attachment points you can mount whatever you need to the outside of the pack. 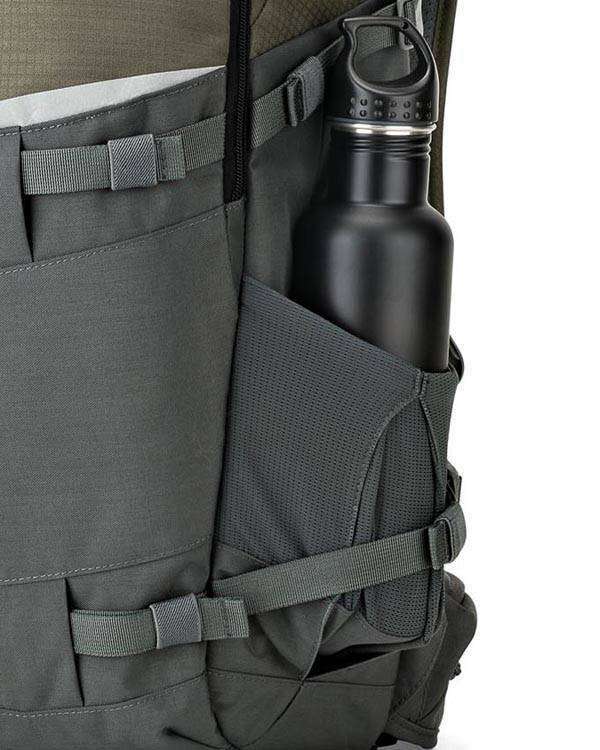 Fit a water bottle in either side or use the compact, easy-access side stretch pocket for quick-grab items. 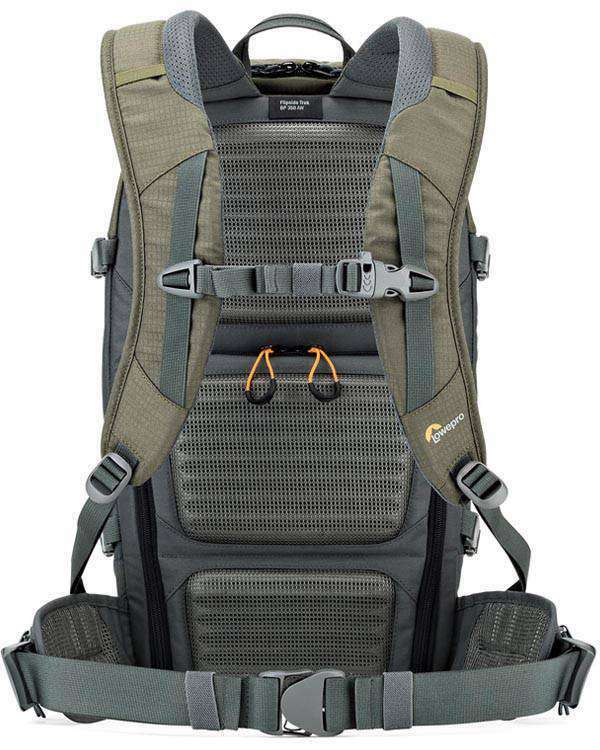 The ActivZone™ harness delivers targeted comfort with breathable ventilated mesh panels and premium tailored straps. 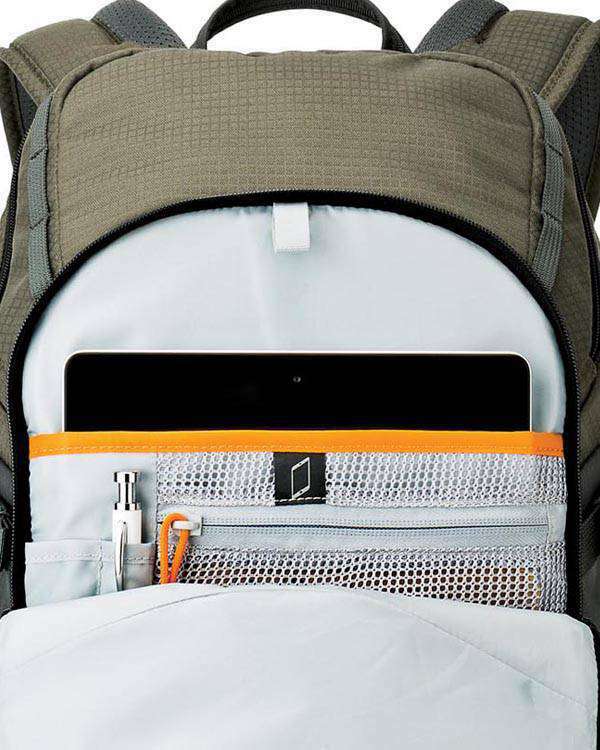 The included CradleFit™ pocket suspends and protects a 10 inch tablet. 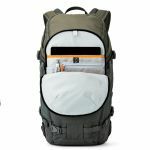 Space for your glasses, headphones, travel documents, keys, and personal items.